day for their babies. These babies can experience diaper rash, infections and other health problems. 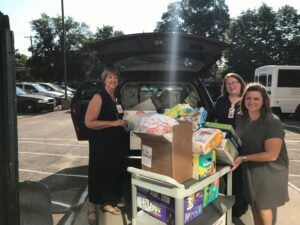 organizations to host diaper drives during Diaper Need Awareness week (September 25 – October 1). interested in learning more, please sign up (Link: https://docs.google.com/forms/d/e/1FAIpQLSe2- PLX2PWcC7OvdKR8HPd821w-nXzgr- 1O7EYwaR_JfX9WhQ/viewform) to learn more.